Wilmington, N.Y. - The Whiteface Region Business and Tourism Center (WFRBTC), Town of Wilmington and local sponsors are pleased to host the 8th Annual Festival of the Colors on Saturday, September 10, from 10:00 a.m. to 5:00 p.m. on Springfield Road in Wilmington. The Festival will feature live entertainment by Organized Chaos, Pipsqueak the Clown and Santa&apos;s Workshop, and will include horse rides, free kids activities and the famous Pie Baking Contest! In addition, numerous vendors will display a variety of products, from arts and crafts, to fresh produce and baked goods, to unique treasures. "There are few more spectacular places to be than the Whiteface Region of the Adirondacks in fall," said Susan Hockert, WFRBTC president. "The mountains become an evergreen canvas painted with bursts of vibrant yellow, red and orange - well worth celebrating!" 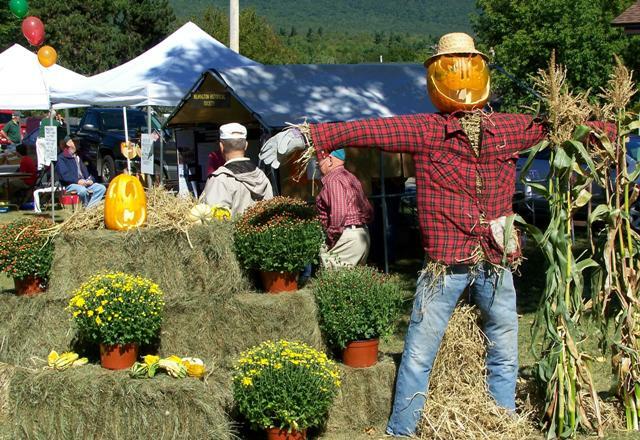 This popular annual event is free and open to the public, and will be held at the tee-ball field on Springfield Road in Wilmington, with a beautiful backdrop of Whiteface Mountain. Vendors interested in participating in the event and all those seeking more information should contact Michelle at 518.946.2255 or info@whitefaceregion.com, and visit http://www.whitefaceregion.com/ for comprehensive area resources.